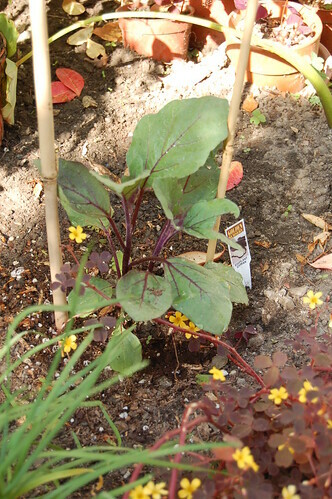 Hard boiled (egg)plant, originally uploaded by framboise. The potential fruit of this plant has had a progression of names that track the continents I’ve lived on. It’s the brinjal of my childhood, aubergine of my twenties and now eggplant of my thirties. I now need a new continent and local name for Solanum melongena for my forties. This entry was posted in akatsuki talkingrot and tagged aubergine, brinjal, eggplant, gardening, my lalaland veggie patch. Bookmark the permalink.